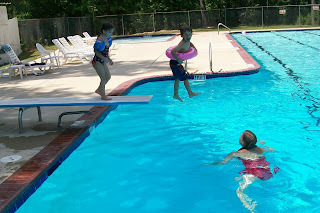 Dawson and Kaelin love jumping off the diving board at our pool. 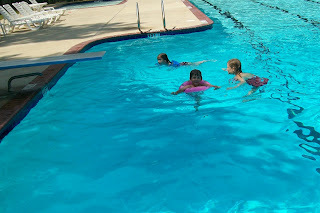 Here are some pictures of them taking the big leap. 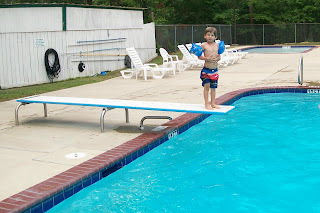 Dawson standing on the edge of the diving board. Smiling at me after he jumped off. 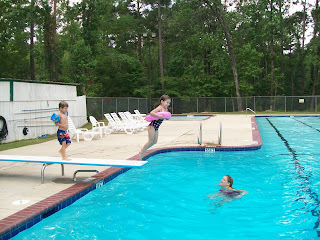 Kaelin leaping off the diving board. 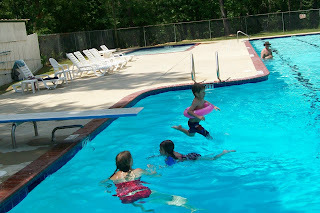 Another action shot of Dawson jumping in.